Discussion in 'Amps and Cabs' started by Kitarist, Apr 24, 2008. I decided to build a Marshall Vintage Style 4x12 Cab. 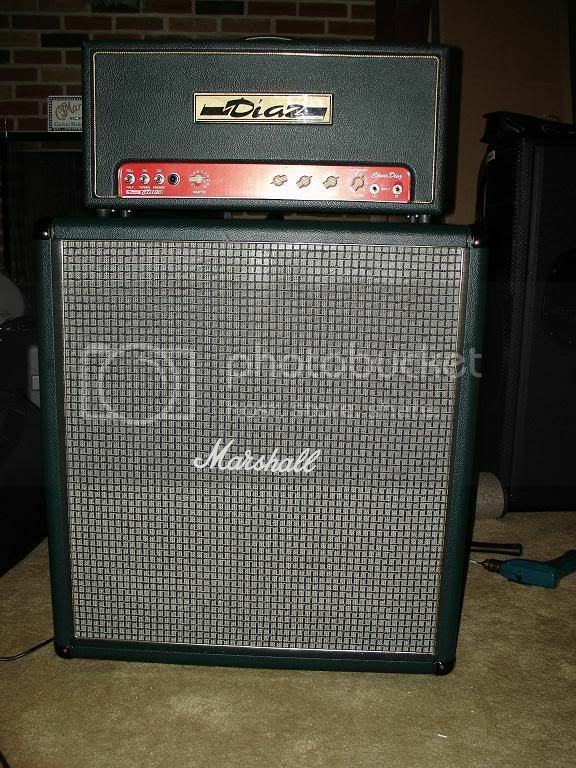 I really need the measurements and plan for the marshall vintage style cab . Does anyone have one or where can i find it. I have a 1960TVB replica I had made by VibroWorld. I could measure her up if you like. Those TVB cabs are awesome, I've wanted one for some time. Doesn't look like vibroworld is going to be back in business for some time though, if at all. It'll give you more lows..it's 3" taller than the standard 4x12. I'll take measurements for you tomorrow. Also does anyone know what kind of wood i should use for the cab. Should i go marine birch plywood or should i go some kind of solid wood.